The magic of Mexico extends beyond its world-renowned archaeological heritage. Every winter, hundreds of Pacific grey whales return to their traditional breeding and birthing ground in the shallow and protected San Ignacio Lagoon on Mexico’s Baja Peninsula. Their winter migration from Alaska's Bering Sea to the warmer waters of Baja's Pacific lagoons is the longest mammal migration on Earth. Nearly hunted to extinction in the past, these gentle giants have finally made a dramatic comeback. With Grupo Meca you can participate in responsible whale watching on the lagoon as well as spotting many other marine species. This interaction, if and when it takes place, is completely on the terms of the animals. Watching a whale glide silently under the boat at close range is an experience that will stay with you forever. Friendly and engaging, they are often intrigued with humans; mothers showing off their babies and frequently interacting at close range. The whales entertain with breaching and spy-hopping, and sometimes mating behaviour can also be observed. A contrasting excursion which Grupo Meca can tailor as part of your visit to Mexico City is to the Monarch Butterfly Biosphere Reserve, a UNESCO World Heritage Site and one of the most important ecotourism destinations in Mexico, located 95 kilometres north-west of Mexico City in the central-western highlands. 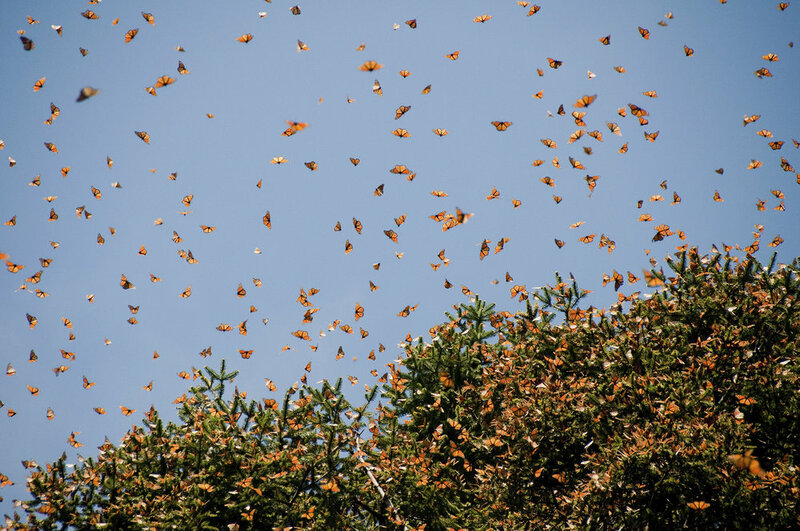 Over a hundred million monarch butterflies migrate from Canada to Mexico's Reserve every winter, through Texas and the Sierra Madre Oriental mountains. The butterflies congregate, clustering onto pine and oyamel trees, colouring the trees bright orange and weighing heavily on their branches. In spring, these butterflies migrate across America, sometimes ending up in Eastern Canada. During the time it takes them to make this journey, four generations of monarch butterflies are born and die. An early drive to Piedra Herrada Sanctuary (part of the Biosphere Reserve) followed by a walk uphill through the pine and oak forest provides the perfect location to observe these delicate butterflies in hues of orange and yellow. As the sun warms the land around noon, millions of monarch butterflies flutter along the road on their way to a nearby river that serves as a watering hole. Butterflies only inhabit a fraction of the 56,000 hectares of the reserve from October to March. 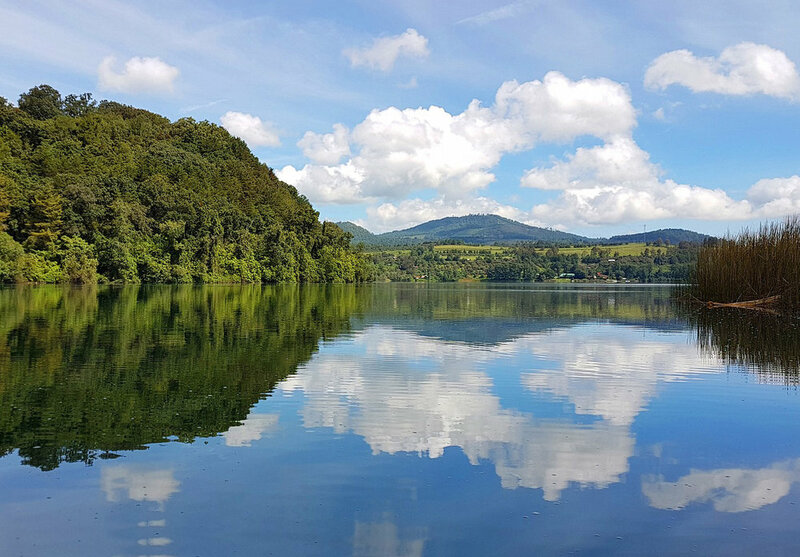 The biosphere’s mission is to protect the butterfly species and its habitat and was declared a World Heritage Site in 2008. The reserve remains predominantly rural and a visit here is a truly rewarding experience for nature lovers.